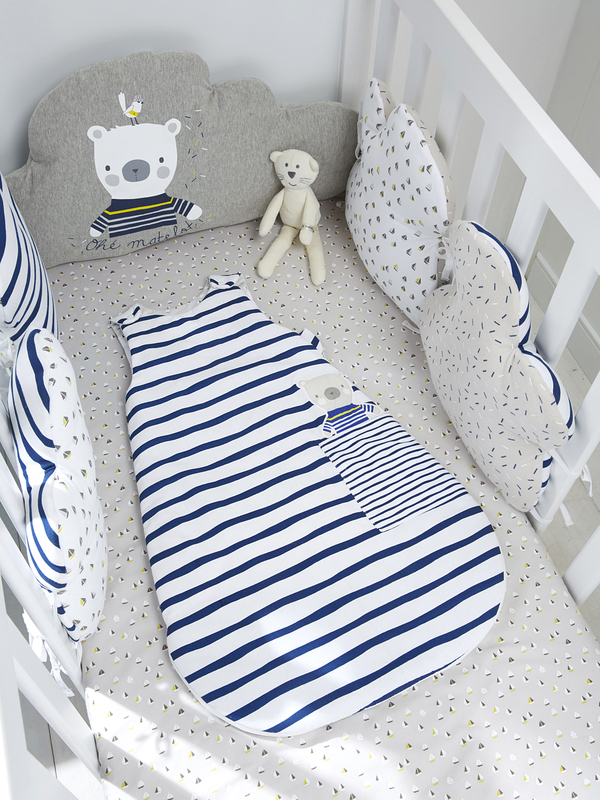 Touched by a delicate sea breeze this nice and warm baby Sleep Bag is ideal to keep baby safe and warm during winter nights. The little teddy bear will make sure baby has sweet dreams! Padded baby Sleep Bag fully lined in plain white. Inverted zip fastening for size 18/36 months to prevent older children from unzipping it.